It’s been Fall for a while, but where I live, the leaves just changed and the winds are starting to get blustery. Every night, we have rain storms and I love this time of year. It’s cold, but not freezing. I get to cuddle up in blankets and the mood outside is perfect for diving into fantasy novels. This kind of weather is just right and that’s what the Rainy Days blanket makes me think of. 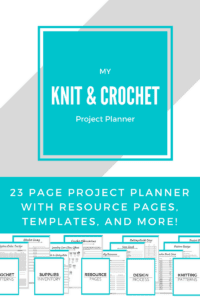 This is my first corner to corner crochet blanket pattern and it couldn’t be easier to work up, so let’s dive in! 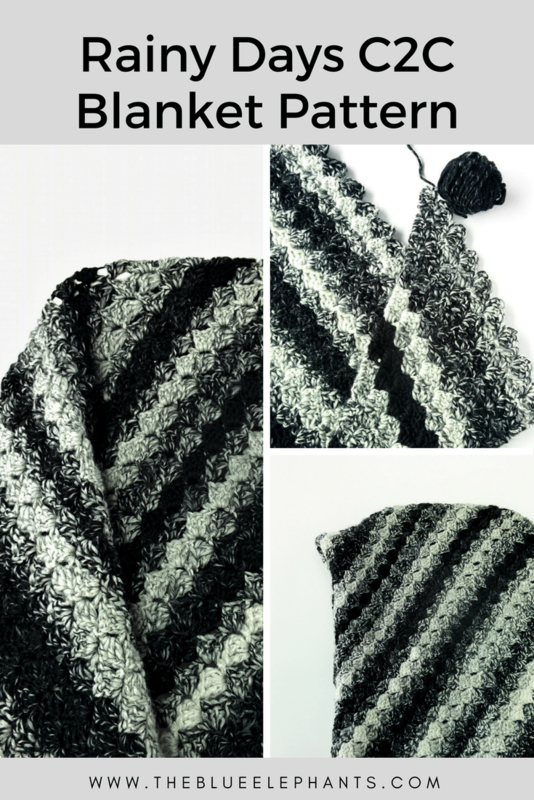 The beauty of this pattern is that the gradient in the Scarfie yarn does all the work and you don’t need to measure or even keep track of rows. 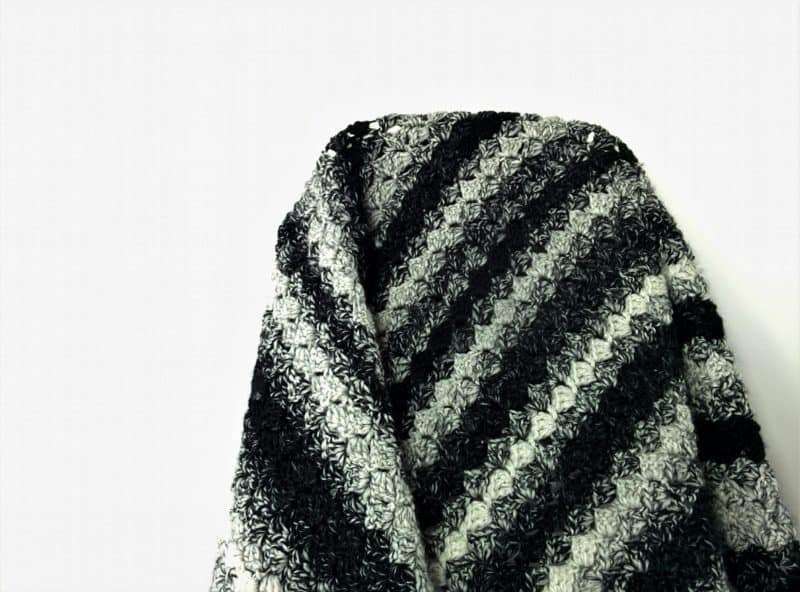 This corner to corner crochet blanket pattern is perfect for beginners who just want something simple to practice on without all the bells and whistles of complicated charts. I have a tutorial on how to C2C (video tutorial) right here if you want to check that out. Row 1: Make a slip knot and chain 5. YO and double crochet into the 3rd space from the hook and each space after. You’ll have 3 DCs and a chain 2. Row 2: Once you finish the first block, you hook will be at the top left of the block. Rotate the piece so you have your hook at the bottom right again. Chain 5, and DC 3 starting from the 3rd space from the hook. Slip stitch to the chain 2 space of the last row to bring the blocks together. Chain 2 and work 3 DC into the chain-2 space of the last block. Row 3: Rotate the work so your hook is in the bottom right corner. Chain 5, starting from the 3rd space from the hook, DC 3. Sl st to the top of the ch 2 space. *Ch 2, DC3 into the space, slip st to the top of the next space*. Repeat from * to * until the end of the row. Rows 4-50: Repeat row 3 until the blanket reaches the width that you want it to be, increasing by one block in each row. I continued until the last full row I could work with 2 balls of the Scarfie yarn. That came up to 50 rows for me. Row 51: Turn the work so you’re at the bottom right corner. Slip stitch 3 times into each of the next 3 spaces to start the decrease rows. Then, continue working each block as normal: Ch 2, DC3 into the space, slip st to the top of the next space. Repeat until the end of the row. Row 52-100: Repeat row 5 until you have only 1 block left, after decreasing one block from each row. This is going to be the same amount of rows as your increasing rows, so for me, it was another 2 balls of the Scarfie. After you work the last block, slip stitch to the last chain 2 space and bind off. Now, we are going to make a nice smooth border to go around our corner to corner crochet blanket pattern. You can leave it as is, but I liked the finished look a solid color gave the blanket. 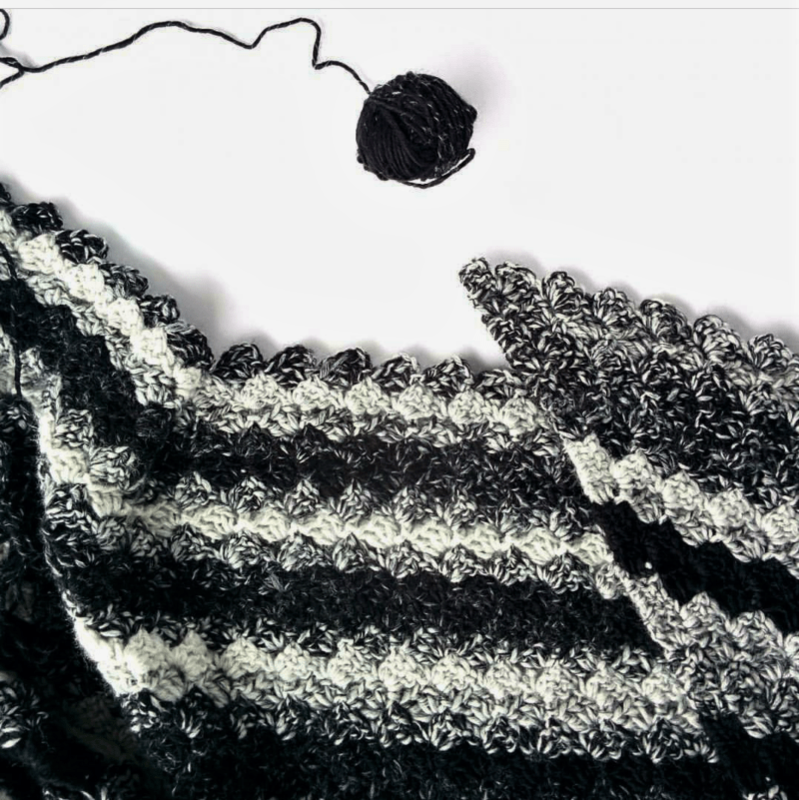 Attach a new piece of solid black yarn to the corner of the blanket (any corner) and work one round of SC, working into the spaces between stitches to add a border. Slip stitch to the first SC and bind off. 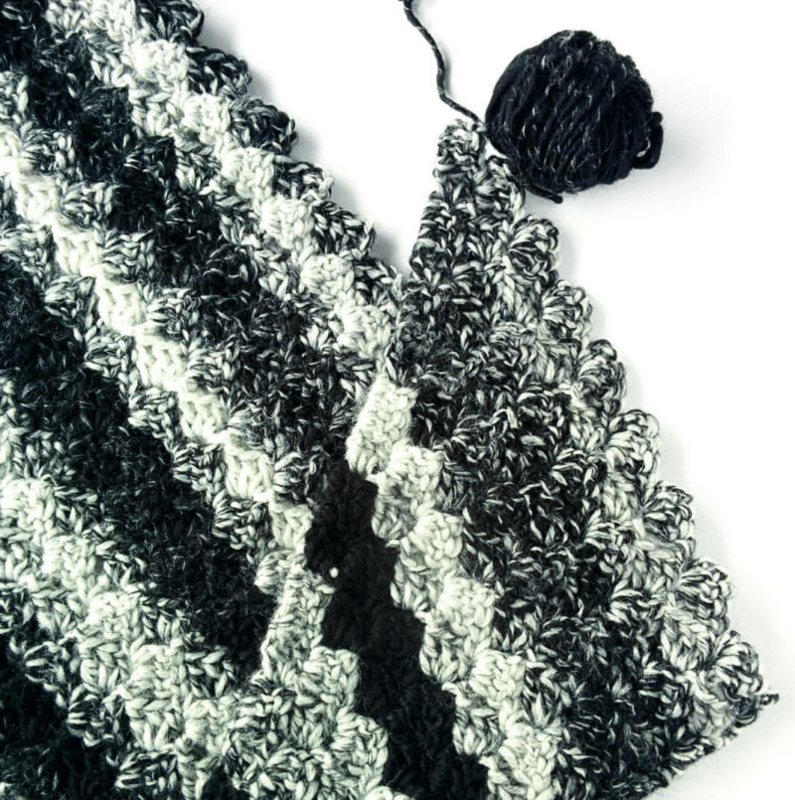 Weave in loose ends and trim the excess yarn. This picture came out really pink, sorry about! 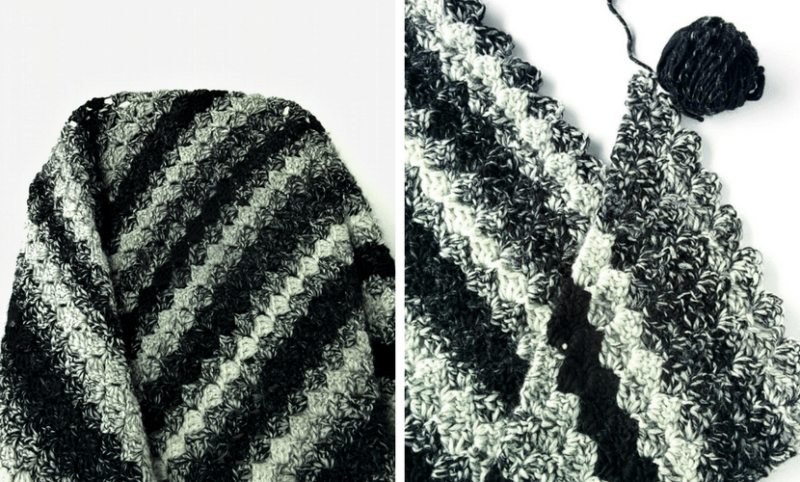 I love this corner to corner crochet blanket pattern because it is so EASY. You can make it as large or as small as you like without changing the pattern at all. And once you know the basic C2C method, it’s so simple to work up. The only thing about this blanket is that it does take a bit longer than you expect it too. I have no idea why, but building up the rows seems to take forever! Someone on IG warned me about this and I didn’t really believe it. But, once I started working, I saw what she meant. 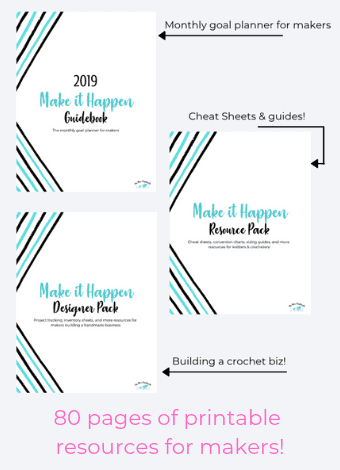 You feel like you’re increasing forever before you’re happy with the width of it (unless you use really thick yarn), but decreasing takes no time at all. Overall, I’m super happy with this blanket and the fact that my sisters use it every day makes me even happier. I hope you liked this! 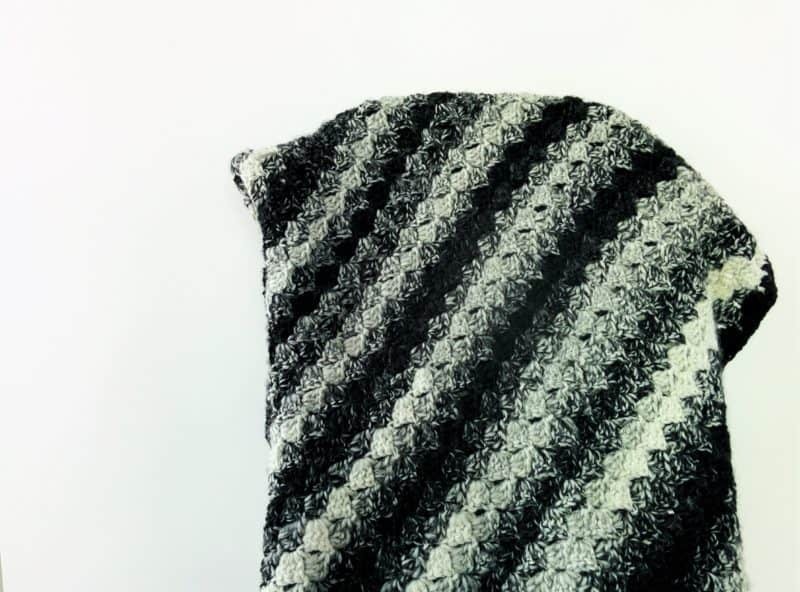 This C2C blanket pattern was one of my simpler designs. 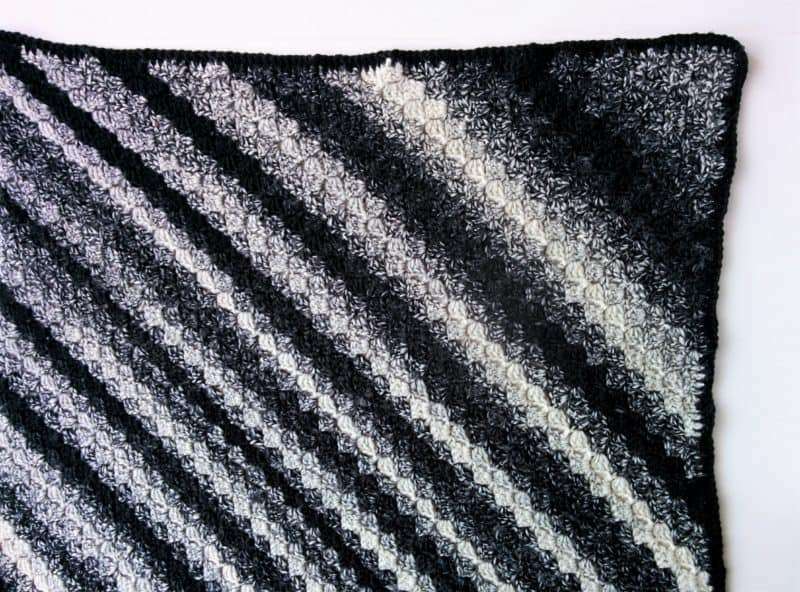 C2C blanket patterns like this are, in general, very simple since you aren’t doing any fancy stitches. You can use different colors and create some beautiful graphgans using this technique. This is another corner to corner crochet blanket pattern that I made using much thicker yarn and an easy graph. 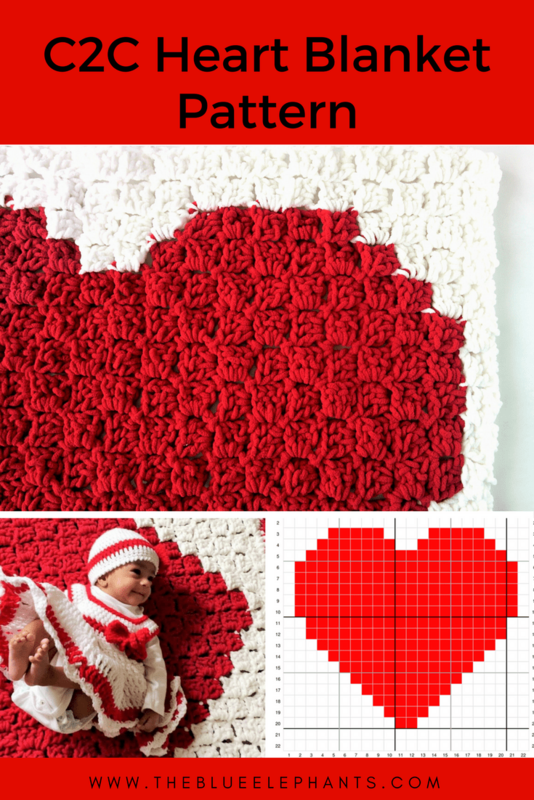 It’s a big red heart on a white background, and it was perfect for a new baby gift! Thanks so much for reading! I hope you liked this pattern and if you did, comment below and tell me what other crochet techniques you’d like to see.